First born baby boys look adorable in these gowns. 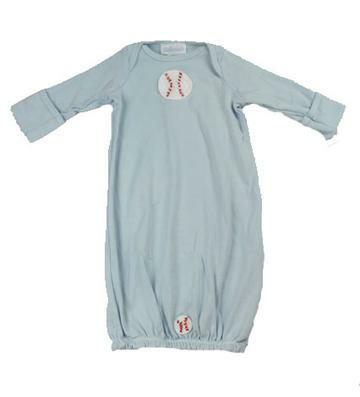 It is light blue, has a crochet baseball on the chest, and one at the very bottom of the hem. These are perfect for newborns when they are getting up for several feeding throughout the day and night and need a diaper change after each feeding. You do not have to deal with all of the buttons and its very soft with 100% cotton.